But Scialabba’s eloquent prose and boundless literary-intellectual reserves shrug off these claims to redundancy. He is a natural heir to the critics whose lives, works, and careers he explicated so sympathetically in What Are Intellectuals Good For? : Dwight Macdonald, Nicola Chiaromonte, Lionel Trilling, Randolph Bourne, Irving Howe. He is a counterargument to his own claims about generalists. Reading George Scialabba emphasizes the need for more George Scialabbas. The Modern Predicament, his latest collection of essays and reviews, shifts our focus from the vocation of the intellectual to the legacy of modernity. In fifteenth-century Europe, according to Scialabba, “a critical, experimental, libertarian spirit began to flourish, which came to be known as ‘humanism.’” Before that, you’ll remember, it was all superstition and church and feudalism, and people generally seemed to be having a pretty bad time. Then came Modernity, with its radical scientific breakthroughs, its unfettered geographical exploration, and its febrile artistic innovation, and what happened? Enlightenment. “Humankind’s emergence from its self-imposed minority,” in Kant’s famous words. This sounds great but, as Scialabba sensitively shows, the gradual and then sudden erosion of traditional constellations of belief and community had particularly adverse effects on people’s happiness. 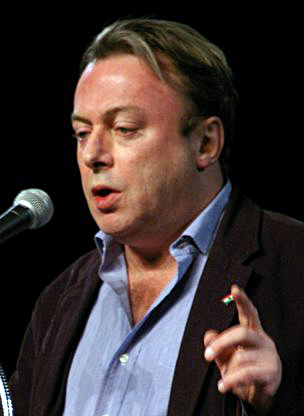 “A short definition of modern intellectual history might be,” he suggests, “the progressive undermining of all firm distinctions, metaphysical, epistemological, and ethical.” Many of the writers and thinkers addressed in these pages are individuals whose ideas were in part reactions against modernity. And though Scialabba is no friend of conservatism or antimodernism, he is clearly sympathetic to their rattled nerves and shocked intellects. And so he returns again and again to Christopher Lasch (“the most important American social critic in recent decades”), admits that D.H. Lawrence’s “ideas are an embarrassment” but considers him a great diagnostician of nihilism, and finds uncomfortable the thought that Nietzsche — “neither an optimist nor a democrat” — was “the person who saw most deeply into the meaning of modernity.” He also weighs in on antimodernists like Kierkegaard, prophetic raconteurs like Foucault, and contemporary critics like Michael Ignatieff and Barbara Ehrenreich. In a scant 149 pages Scialabba probes questions that are eerily, exhaustively, familiar: Can we be good without God? What does it mean to be a moral person? How do we pursue a viable and fair social arrangement? His answers and conclusions are fresh and invigorating. These essays may well be, as Scialabba suggests, “highly compressed” summaries of “enormously complex arguments,” but in his hands they are transformed into a kind of running commentary on modern intellectual history, agreeably and rigorously narrated by George Scialabba. maybe the fact that they scraped along pretty well without one means that the question “Why care about others?” and the larger question “Why act right,” which Taylor thinks can only be answered definitively by invoking some “constitutive good” can’t be answered definitively at all. And needn’t be. Yes to greater equality, inclusiveness, cooperation, tolerance, social experimentation, individual freedom… but only after listening to everything that can be said against one’s cherished projects, assuming equal intelligence and good faith on the part of one’s opponents, and tempering one’s zeal with the recognition that every new policy has unintended consequences, sometimes very bad ones. But after all that… yes. Like Trilling, Scialabba believes in the moral obligation to be intelligent. In “Crowds and Culture,” the closing essay of The Modern Predicament, he wonders if increasing the number of creative and critical human beings might not be possible through a “supreme effort of democratic pedagogy.” Clearly he pines for such a pedagogy — pines, in fact, for his own irrelevancy, for if such an effort were undertaken, the generalist would undoubtedly cease to be necessary. But for the time being, despite Scialabba’s doubts and reservations, we need the generalist, the solitary voice whose diligence and range, intellect and literary verve, can guide us through the informational hodge-podge of the twenty-first century. We need, that is, George Scialabba.